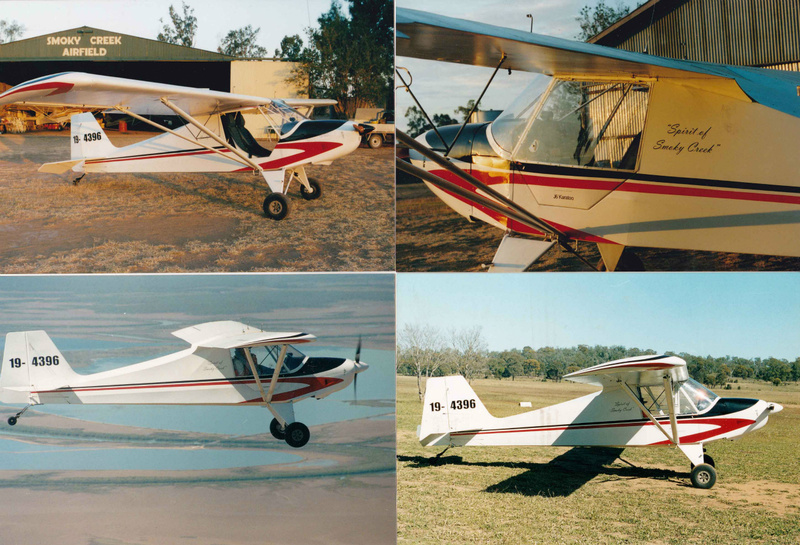 The J6 Karatoo was originally designed by Jesse Anglin in the USA, and it was his intention to combine in the aircraft the best features of a Piper J3 Cub with the practicality and visibility of the side-by-side Aeronca Chief. 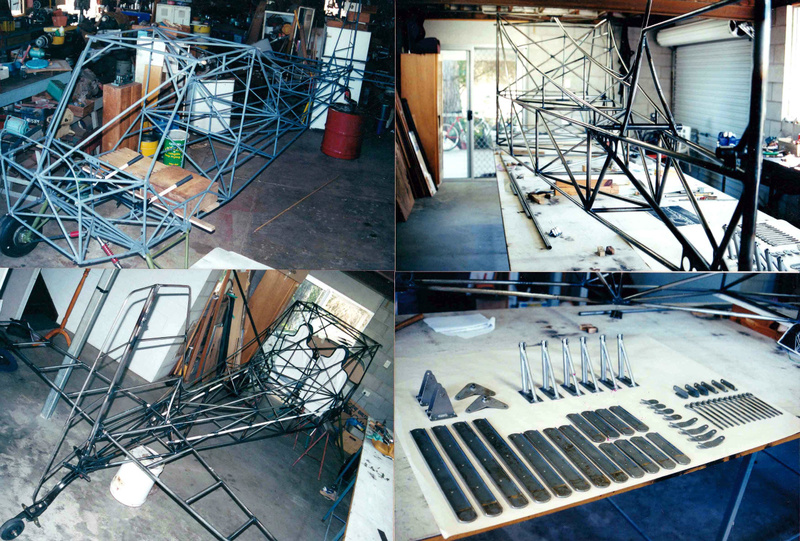 Indeed, many of the construction features and components reflect their Aeronca inspiration, thus producing one of the most practical and forgiving sport aircraft ever designed. The proven combination of steel tube fuselage and wooden wings provide traditional strength and reliability. 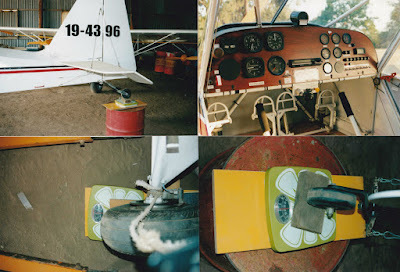 Ask anyone who has flown a properly rigged Karatoo, and they will tell you it is one of the most delightful aircraft they have ever flown. 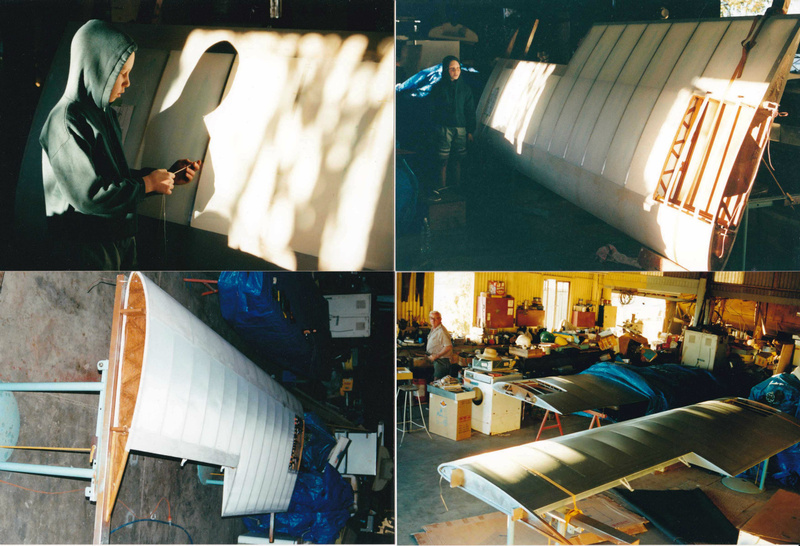 Being of American design, the wing aerofoil is classic 'Clark Y' with a span of 32ft and a chord of 4 ft / 6 inches. Overall length of the fuselage is 20ft. The empty weight of my aircraft is just over 300kg. 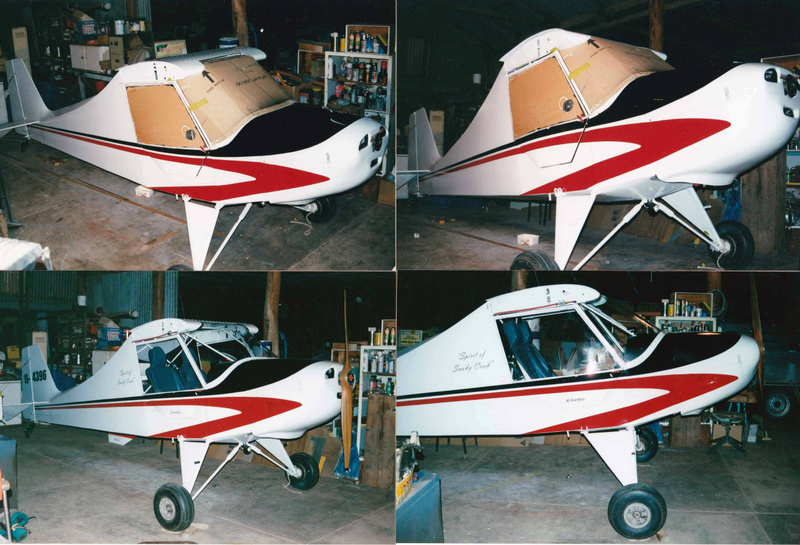 Early Australian versions of the aircraft were built from kits manufactured in the late 1980's by Max Peters 'Australian Aviation Works' in collaboration with Jesse Anglin. They departed slightly from the original design in that the upper rear fuselage shape was a straight line rather than the original curved turtle deck, giving it a more boxy appearance. Some were powered by Subaru EA81 converted car engines with an 'AMAX' belt reduction drive attached. Martin Hone was the first in Australia to install an 80hp Rotax 912, which in 1994 produced a beautifully reliable aeroplane which still flies today. I decided to scratch build from plans, sourcing my own materials, while going back to the original Jesse Anglin design with the prettier slightly curved 'Cub like' turtle deck. I elected to install a 4-cylinder, 2.2 litre, 80hp Jabiru engine, which so far as I know had never been done in a Karatoo before. It meant that I had to design and build my own engine mount, which under the 19 amateur built category is permissible. 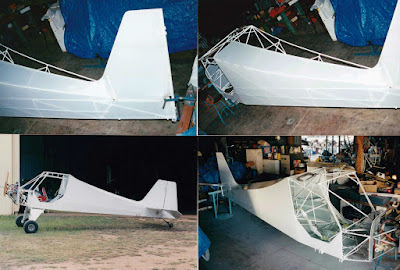 I considered the Jabiru engine's light weight and simplicity of installation as valuable features. I anticipated and overcame any engine cooling issues, (because of the Karatoo's lower cruise speed compared to a Jabiru), by installing larger intake and exit airways, enhanced air duct baffling, and by installing a larger capacity oil cooler. 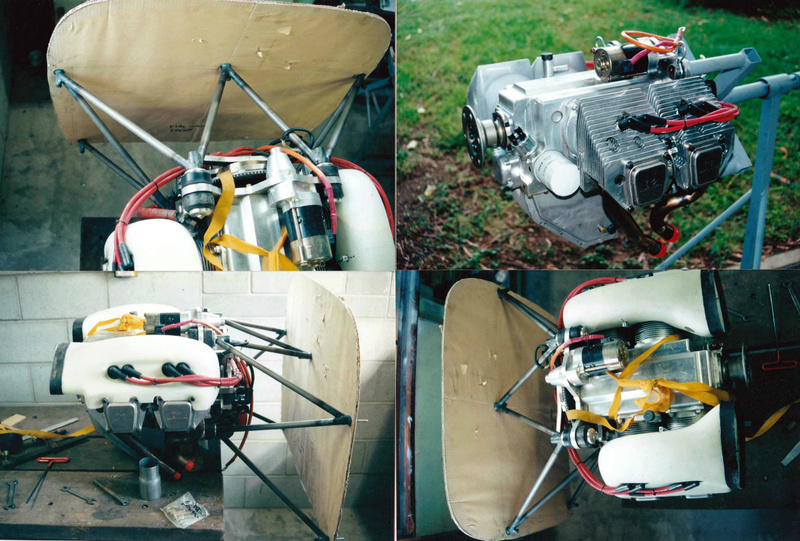 The engine cowl was modified from one supplied by Jabiru, that was originally designed around putting a Jabiru engine in a Lightwing. The paint trim pattern was derived from a most recent example of a Piper Super Cub. During initial solo testing, I had tried a standard Jabiru wooden propeller. Although this delivered up to 90kts cruise speed, it would not have given sufficient safe climb performance for two people. I opted instead for a Petroney ground adjustable composite propeller, which with optimum pitch settings provides the best balance of climb and cruise performance for the aircraft. It can now safely lift two 100kg people and half fuel off the ground, and climb at 500+ feet per minute, and still cruises at an honest 75kts on 2700 RPM. It's no speed demon, but provides relaxed and comfortable sport flying. The full 80 litres of fuel, (40 a side in the wings), at 15 lt/hr gives five hours endurance, way past sore backside time. Two up, it stalls at 38kts, one up at 35. Stalls are smooth and predictable at any power setting, with no wing drop. 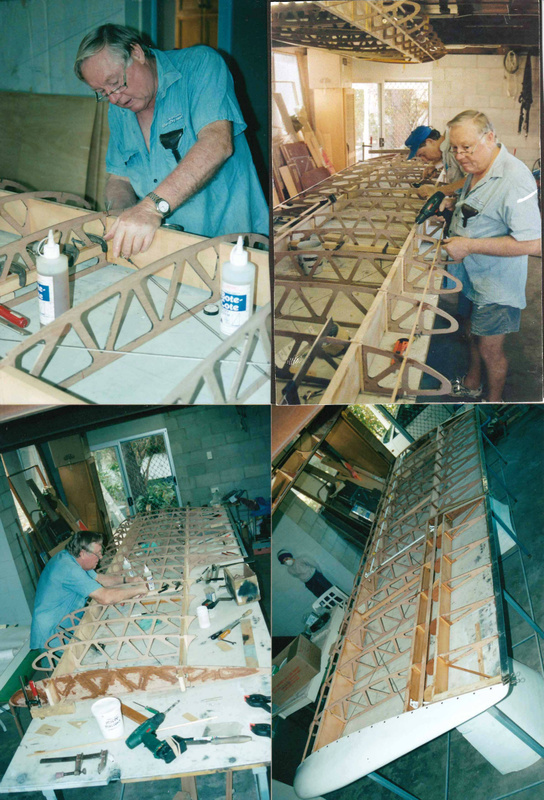 I have been very pleased with the end result, and for over seven years have flown an attractive and beautifully balanced aeroplane. 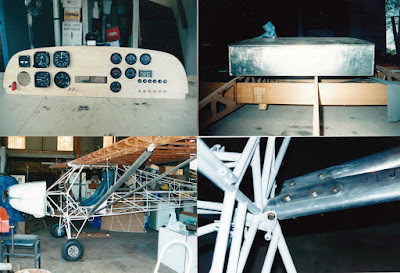 I believe with the Jabiru engine I have struck the optimum combination of power, weight and balance, which coupled with features like the differential 'frieze' ailerons, provides for enjoyable and safe 'seat-of-the-pants' flying. 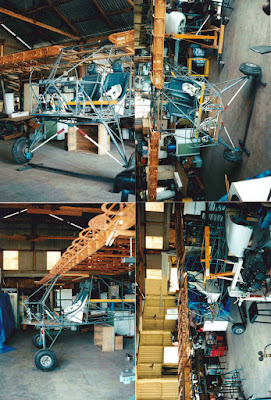 The aircraft requires no in-cockpit elevator trim, relying solely on good rigging and application of power to provide balanced flight. At cruise on a calm day, the aircraft quite happily flies fully 'hands-off'. Like any real aeroplane, it also loves a balanced input of rudder to help it in its turns. For anyone considering building a Karatoo, attention to correct rigging is very important. I have heard of examples where excessive wing incidence has produced sluggish performance. Any more that two degrees positive incidence on the wing chord line relative to the fuselage datum line is too much. The name 'Karatoo' I believe arose from the evolution in design to two seats, from the Jesse Anglin single seat 'Karaone'. The title of this example, 'Spirit of Smoky Creek', is dedicated to the airfield where it was assembled and is hangared, and to the many people who have encouraged me and assisted in its construction.